For some people, alcohol and St. Patrick’s Day go together like corned beef and cabbage, as irreplaceable symbols of this Irish holiday; and that’s fine. Still, many of us prefer to forgo adult beverages during the occasion. Perhaps your celebration includes children. Or maybe you’re in recovery from substance abuse. Whatever your reasons may be, this post is for you. In it, we’ll show you how to have a great time on St. Patty’s day while remaining alcohol-free. By the way, there’s no reason why only the wee ones should participate in making crafts. Research shows that crafting can help put anyone in a brighter mood according to CNN. So invite the grown-ups to lend their talents to the project. Having the right music is just as important as the proper décor. Google the term “Irish music” and you’ll find plenty of free tracks online. Of course, you will want to pre-screen your choices if you’re planning a family-oriented event. If you have musically gifted friends, then another option is to stage your own Celtic mini-concert. Whip up some delicious alcohol-free drinks. St. Patrick’s Day shakes, punches, green-tinis, and more can all be made at home with ease. These beverages are so tasty you’ll never miss the alcohol. Feeling inspired? Buy a variety of ingredients, and let your whole family make their own St. Patrick’s Day drink. Try an Irish trivia contest. Google will be happy to supply you with plenty of facts. Have a movie marathon using films with Irish performers or themes. Just remember to check reviews and ratings ahead of time if the event includes children. 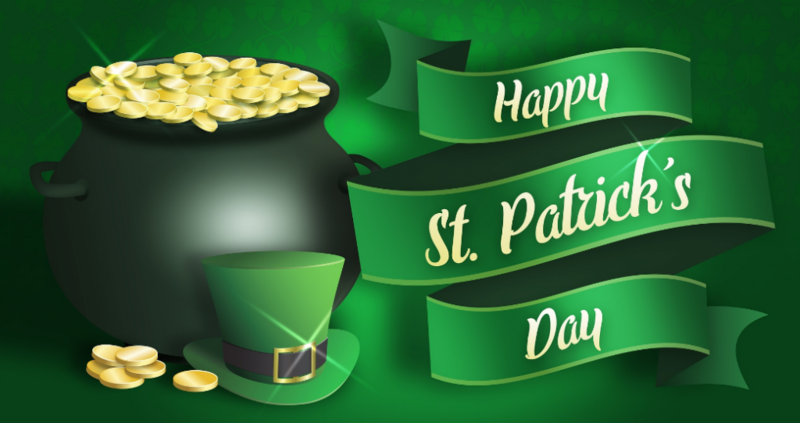 You can also watch nonfiction documentaries that explain the history and background of St. Patrick’s Day. Take a tip from The Spruce and do some Irish dancing. You’ll find instructional videos for free on YouTube® and similar sites. Attend a St. Patrick’s Day parade or just have one of your own. Participate in one of the many St. Patrick’s Day fitness events held across the country. Invite someone from an Irish background, or who was lived in Ireland, to share some of their own experiences with the Emerald Isle. A sober St. Patrick’s Day celebration is a great way to observe this historic holiday while remaining true to your goals and convictions. So, this year, why not skip the alcohol and just focus on just having fun? The memories you create will last for a lifetime.